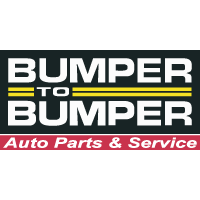 We are the Areas Go-To Auto Mechanic in Newtown PA! An affordable automotive technician is not always the cheapest. They are looking at each situation individually for what is the most economical and cost effective approach. For example: I call two auto mechanic shops near me to get a price to fix my leaking radiator. I get one price for $250 and another for $375. So after I drop my ride off at the place that gave me the cheaper price, I get a call from them an hour later saying that the radiator hoses are bad, I should flush out the engine block and replace the old engine coolant. So the actual COST is $400. When I ask them about the PRICE they gave me for $250 the service advisor tells me that was just for the radiator. And to top it off, I find out that the place that gave me the price of $375 included a lifetime warranty on the radiator, new radiator hoses and the engine flush with new coolant. Because the hoses had to come off to replace the radiator anyway, they were actually saving me money in the long haul by putting new ones on with the new radiator. They gave me the COST of $375 for the most economical and cost effective solution right up front. So much for trying to match PRICES!